The fountain at Ippokratous Square on Rhodes. Islands of the Cyclades and the Dodecanese together with Crete accounted for almost as much tourist spending as the rest of Greece in 2017. One in every four euros that foreign tourists spend in Greece is spent on the islands of the Cyclades and the Dodecanese in the Southern Aegean. If one adds Crete, then almost 50 percent of annual expenditure by visitors to Greece is spent on just a couple dozen islands. These were among the findings of the statistical processing by the Institute of the Greek Tourism Confederation (INSETE) of 2017 data supplied by the Bank of Greece. The analysis showed that foreign visitors spent 3.65 billion euros on the islands of the Southern Aegean last year, plus 3.26 billion euros on Crete. Therefore those two regions accounted for 48.6 percent of total tourism spending last year in Greece, which amounted to 14.2 billion euros. Much as Athens has seen its tourism data improve, expenditure in the capital barely topped 2 billion euros last year. The region with the lowest amount of visitors, overnight stays and spending by foreign tourists in 2017 was Western Macedonia: It accounted for just 45 million euros in tourism revenues from foreigners, or just 0.3 percent of the country’s total. The neighboring region of Central Macedonia posted the highest number of foreign visitors in Greece, thanks to its proximity to several other Balkan countries, including Bulgaria, the Former Yugoslav Republic of Macedonia, Serbia and Turkey, and the frequent visits their citizens made to Thessaloniki and Halkidiki. According to INSETE, Central Macedonia accounted for 13 percent of total receipts last year, 19.4 percent of all overnight stays and 23.4 percent of visitors. 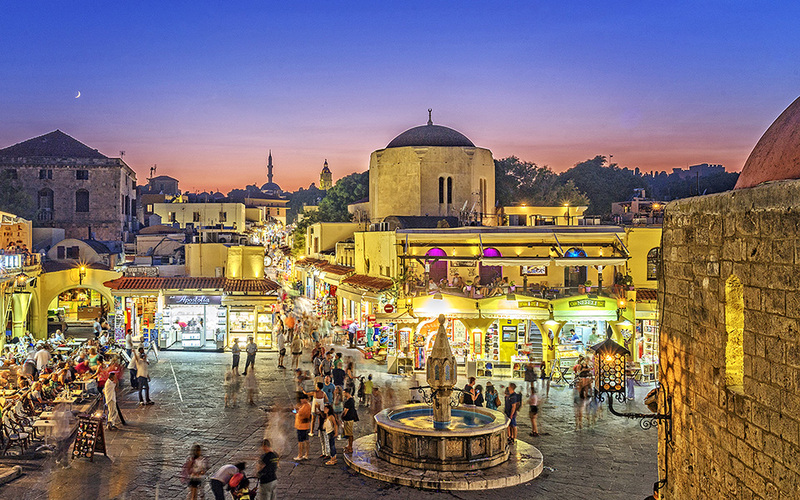 The second region in visitor numbers was the Southern Aegean, which accounted for 19 percent of all visits last year. Each tourist visiting Greece in 2017 stayed for an average of 6.8 nights and spent 458 euros, or 68 euros per overnight stay. The average duration of stay grew by 0.8 percent from 2016, and average expenditure was up 1.9 percent, given that average spending per night increased 1.1 percent. The biggest rises in overnight stays and expenditures by foreign tourists were to be found in the Peloponnese, the Southern Aegean and Attica in 2017, with the luxury resort Costa Navarino contributing toward the advance of the Peloponnese.